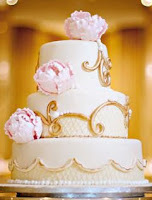 Whimsical Cake Studio Inc.: Sweet Deals for 2011 Weddings! Sweet Deals for 2011 Weddings! I am excited for 2011 weddings! Already, with the couples I have met with, we are looking at creating some unique cakes...I can't wait to share them with you. I just wanted to post real quick about our Wedding Specials for 2011. If you are getting married this year or know someone who is, feel free to share this information with them. The deal is only for weddings booked by February 10th, so call us for a consultation or come by the studio to check us out! 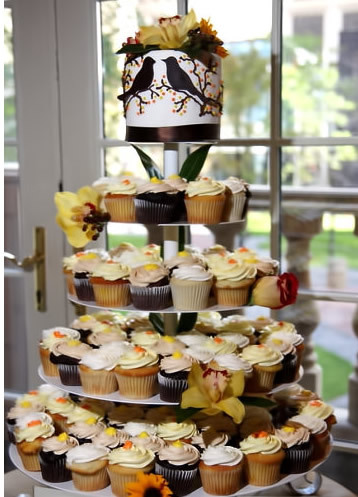 If you are looking to have a Cupcake Tower, book your wedding Cupcakes by February 10th and the stand rental is FREE ($60-$80 value). Conditions are: Wedding has to be in Edmonton; One stand per wedding as we have limited stands per weekend; Must be returned the Monday following the event; Minimum of 8 dozen with a 6" cake on the top (as that is what the stands will hold). If you are looking to have a Wedding cake designed, we will give you a credit for a FREE 6" round or square cake to celebrate your 1st Wedding Anniversary ($60-$80 value). This way, you don't have to eat a cake that has been frozen for a year! You get a nice fresh cake for your anniversary. 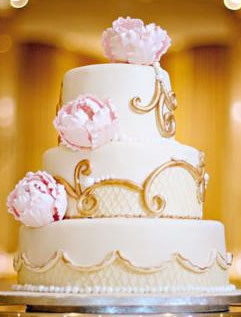 Condition: credit given to 3 tier wedding cake orders; client must order Anniversary cake 2 weeks in advance. 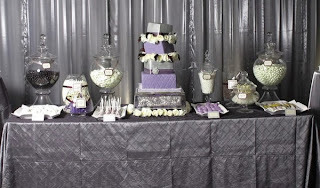 Sweet tables or dessert bars are always a sweet addition to your wedding cake or cupcake tower. We are offering 15% off our Dessert Bar orders. Sweets that are available: custom sugar cookies, assorted cookies, macarons, coconut macaroons, filled meringue kisses, cake truffles, chocolate/caramel dipped pretzels, mini cupcakes, marshmallows, chocolates, chocolate dipped oreos, cake shots, mini or heart shaped brownies, and more. Conditions: Wedding has to be in Edmonton; Stands must be returned the Monday following the event; Minimum product order of $250. 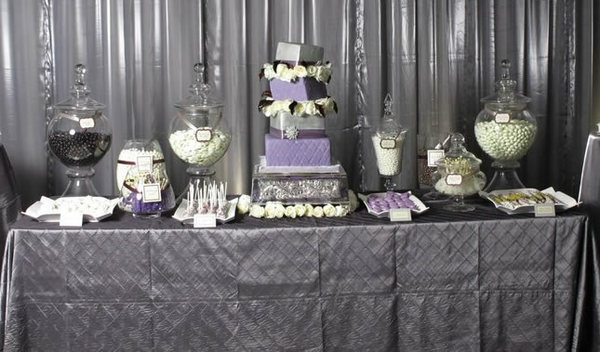 For samples of our dessert bars, please visit our Styling page. I would love to discuss your wedding with you in more detail. Please don't hesitate to call or visit us in the studio. I look forward to adding a little sweetness to your special day! Whimsical Cakes brought to you by the Letter P!